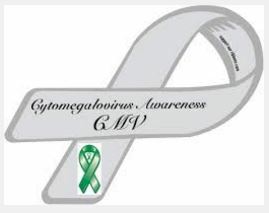 Cytomegalovirus (pronounced sy-toe-MEG-a-low-vy-rus), or CMV, is a common virus that infects people of all ages. In the United States, nearly one in three children are already infected with CMV by age 5 years. Over half of adults by age 40 have been infected with CMV. Once CMV is in a person’s body, it stays there for life and can reactivate. A person can also be reinfected with a different strain (variety) of the virus. 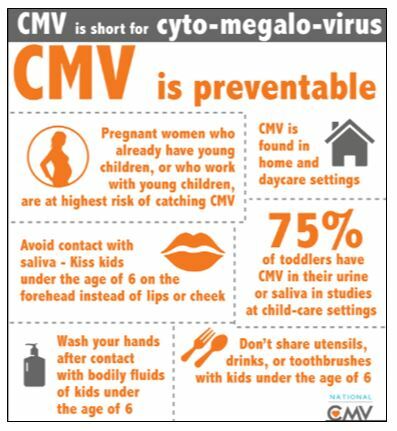 Most people infected with CMV show no signs or symptoms. That’s because a healthy person’s immune system usually keeps the virus from causing illness. However, CMV infection can cause serious health problems for people with weakened immune systems, as well as babies infected with the virus before they are born. CMV can be transmitted by the mother during pregnancy (congenital CMV) or via breastmilk and from direct contact via saliva or urine. Since most people are unaware that they have symptoms, most mother’s who pass on the virus have no reason to think that there will be any issues. Simple tests can be used to diagnose CMV infections in people who have symptoms. Identification of CMV as the cause of hearing loss. Ideally, the saliva or urine of all babies would be tested to identify the CMV virus in the first 2 weeks of life. The CMV virus cannot be determined as the cause of hearing loss after 3 weeks by a simple urine test. 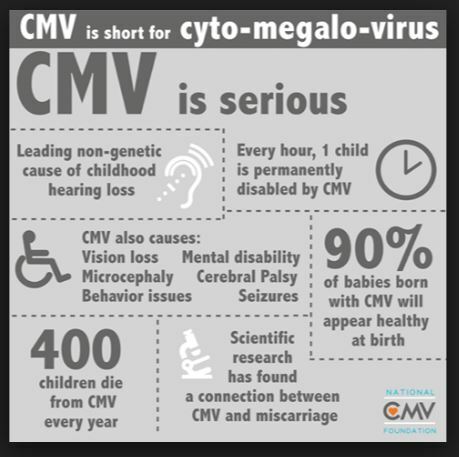 After this early period the only way to identify CMV as the cause of hearing loss is to detect the DNA of the CMV virus in dried blood samples from the first 3 weeks of life or the dried umbilical cord. Potential treatment of CMV. Small studies have shown that treatment of infants with congenital CMV infection with antiviral drugs such as valganciclovir can prevent progression or development of hearing loss, and in some cases can even reverse existing hearing loss. Larger studies are currently ongoing to confirm this effect, which is extremely promising as the first known treatment for congenital sensorineural hearing loss in these selected cases (source). Degree of hearing loss. Congenital CMV (both symptomatic and non-symptomatic) is the most common and accounts for around 1/3 of all hearing loss in children. Hearing loss associated with CMV may be both late onset and progressive within the first years of life. So 90% of children with hearing loss caused by CMV will be asymptomatic and likely to pass hearing screening. If a child is identified as having a late-onset hearing loss it is likely that it is due either to CMV or genetics and either of these causes can result in hearing loss that progresses over time. Posted July 2016. Our thanks to the National CMV Foundation as the source of most of the information.